Please select a size. UK 4 - In StockUK 5 - In StockUK 6 - In StockUK 7 - In StockUK 8 - In StockUK 9 - In Stockview larger sizes Please select a size. 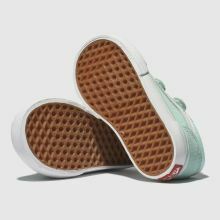 Get some colour back in their rotation with a little help from Vans. 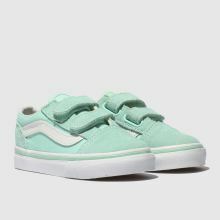 This pale blue Old Skool wins all sorts of style crowns with a new season appeal and classic silhouette. The kids' sneaker is crafted with a suede and fabric upper and white Sidestripe.